This book is a new annotated translation of Orosius’s Seven Books of History against the Pagans. Orosius’s History, which begins with the creation and continues to his own day, was an immensely popular and standard work of reference on antiquity throughout the Middle Ages and beyond. Its importance lay in the fact that Orosius was the first Christian author to write not a church history, but rather a history of the secular world interpreted from a Christian perspective. This approach gave new relevance to Roman history in the medieval period and allowed Rome’s past to become a valued part of the medieval intellectual world. The structure of history and methodology deployed by Orosius formed the dominant template for the writing of history in the medieval period, being followed, for example, by such writers as Otto of Freising and Ranulph Higden. Orosius’s work is therefore crucial for an understanding of early Christian approaches to history, the development of universal history, and the intellectual life of the Middle Ages, for which it was both an important reference work and also a defining model for the writing of history. ..as a translation it achieves its aims: this fine rendering of Orosius, especially in combination with the notes, will provide a very useful, new access to the Seven books of History against the Pagans, and thus allow future readers to discover this historian for themselves. 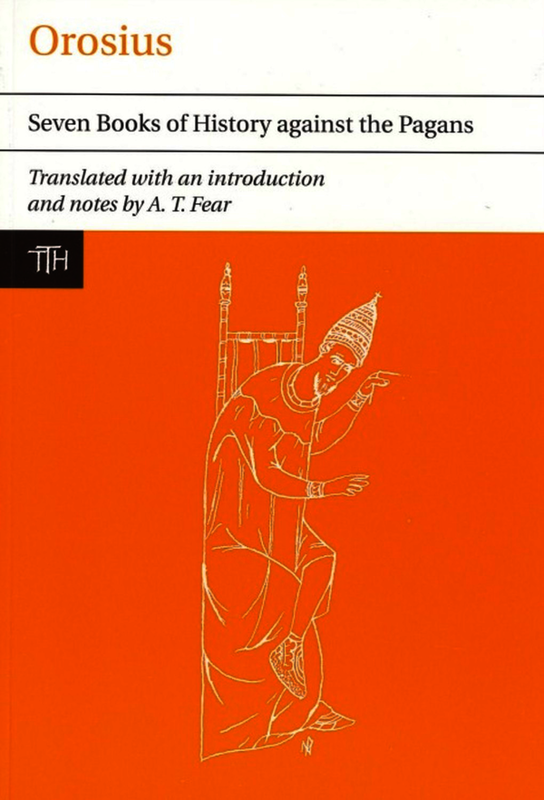 Andrew Fear's is the first translation into English of the complete work since 1936, and presents Orosius' sometimes convoluted Latin in very readable English, making this crucial work easily accessible to students and scholars lacking Latin; the extensive annotation will be valuable also for those capable of reading the original.